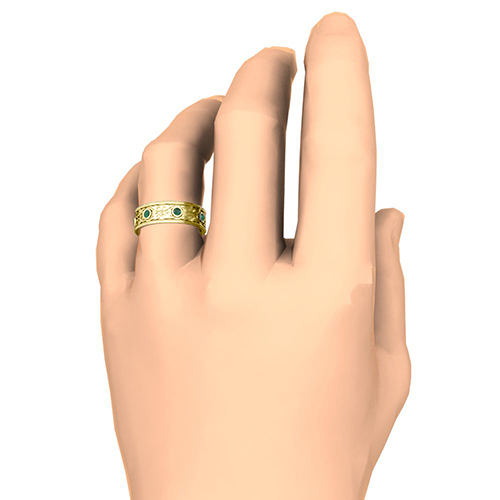 Customized unique Celtic wedding band ring for men with your choice of diamonds or gemstones in 14k or 18k white, yellow or rose gold and platinum. 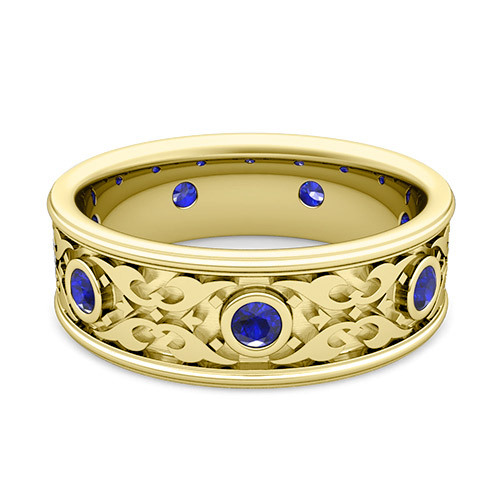 This stunning Celtic wedding ring for men features round shape sapphires bezel set gorgeously on the 14k gold carved Celtic knot band. This stunning Celtic wedding ring for men features round shape sapphires bezel set gorgeously on the 18k gold carved Celtic knot band. 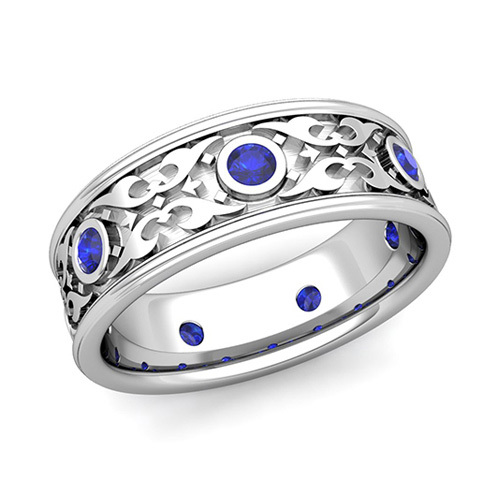 This stunning Celtic wedding ring for men features round shape sapphires bezel set gorgeously on the platinum carved Celtic knot band. This stunning Celtic wedding ring for men features round shape pink sapphires bezel set gorgeously on the 14k gold carved Celtic knot band. This stunning Celtic wedding ring for men features round shape pink sapphires bezel set gorgeously on the 18k gold carved Celtic knot band. 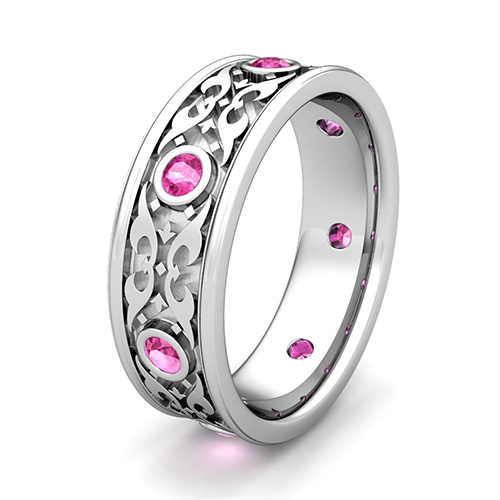 This stunning Celtic wedding ring for men features round shape pink sapphires bezel set gorgeously on the platinum carved Celtic knot band. This stunning Celtic wedding ring for men features round shape yellow sapphires bezel set gorgeously on the 14k gold carved Celtic knot band. This stunning Celtic wedding ring for men features round shape yellow sapphires bezel set gorgeously on the 18k gold carved Celtic knot band. This stunning Celtic wedding ring for men features round shape yellow sapphires bezel set gorgeously on the platinum carved Celtic knot band. This stunning Celtic wedding ring for men features round shape rubies bezel set gorgeously on the 14k gold carved Celtic knot band. This stunning Celtic wedding ring for men features round shape rubies bezel set gorgeously on the 18k gold carved Celtic knot band. This stunning Celtic wedding ring for men features round shape rubies bezel set gorgeously on the platinum carved Celtic knot band. This stunning Celtic wedding ring for men features round shape emeralds bezel set gorgeously on the 14k gold carved Celtic knot band. This stunning Celtic wedding ring for men features round shape emeralds bezel set gorgeously on the 18k gold carved Celtic knot band. This stunning Celtic wedding ring for men features round shape emeralds bezel set gorgeously on the platinum carved Celtic knot band. This stunning Celtic wedding ring for men features round shape diamonds bezel set gorgeously on the 14k gold carved Celtic knot band. This stunning Celtic wedding ring for men features round shape diamonds bezel set gorgeously on the 18k gold carved Celtic knot band. This stunning Celtic wedding ring for men features round shape diamonds bezel set gorgeously on the platinum carved Celtic knot band. 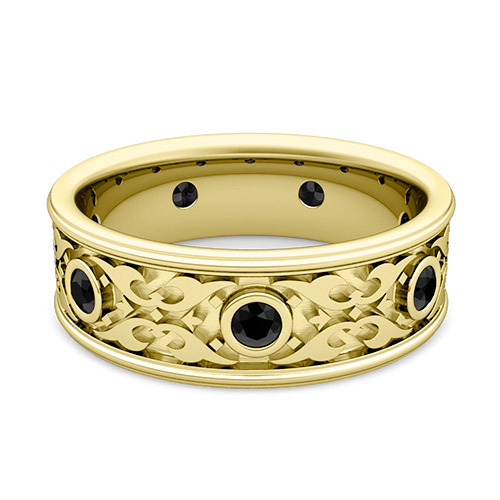 This stunning Celtic wedding ring for men features round shape black diamonds bezel set gorgeously on the 14k gold carved Celtic knot band. This stunning Celtic wedding ring for men features round shape black diamonds bezel set gorgeously on the 18k gold carved Celtic knot band. This stunning Celtic wedding ring for men features round shape black diamonds bezel set gorgeously on the platinum carved Celtic knot band.